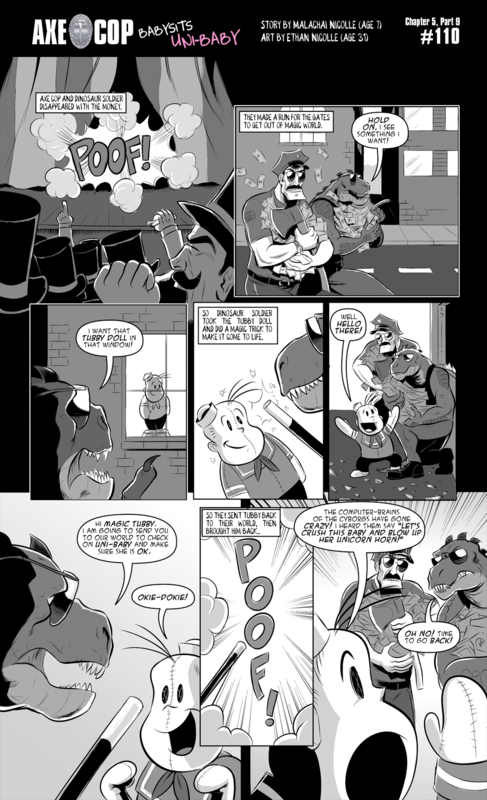 Axe Cop does two final tricks. That isn’t by any change Tubby from Little Lulu? I used to really enjoy that. Yep! Malachai is a big Little Lulu fan. Have you seen this? His take on Little Lulu. Oh, hey, I just read that strip! I also remember this part from the tv series. 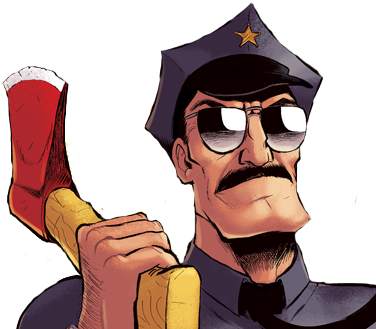 I love Axe Cop! I wonder why the episode picked Sockarang instead of Dinosaur Soldier for this arc. I mean, I know it’s because Flute Cop is Unibaby’s adoptive father in that continuity, but why did you choose hat? Just curious. We had just gotten Patton Oswalt and I think they wanted a bigger Sockarang episode. This one felt right because of how axe cop basically uses babysitting to be a kid and sockarang is such a big kid. Also we loved the idea of the B plot with flute cop on vacation. I think it was a good choice. It made that episode really unique.